It feels like winter is definitely on its way out and I can’t say I’m not pleased! After the beginning of 2012 being upset by lots of car problems (and the associated money problems), we then managed to get a string of colds that knocked us for six. So really I haven’t *that* much to update on! I will list some stuff we’ve done just for my benefit as it is nice to look back on. We’ve kept up with A’s singing and recorder lessons which she’s enjoying. A has also tried ice skating for the first time. We went to a science lecture held at the local university which we all enjoyed, we learned about ancient African history with our friends and painted some African designs, we attended our local nature reserve meet (although the kids don’t enjoy that so much now, so it may drop off our calendar) and we also were very lucky to watch the European Ice Skating championships that were being held in our city. We had a great weekend with friends in Glastonbury – a town I’d never known much about except from festival related business. We had the most incredible walk up the Tor in really mad weather – was sooooo windy! I loved it there, such a different place. The kids have had some great days out without me. 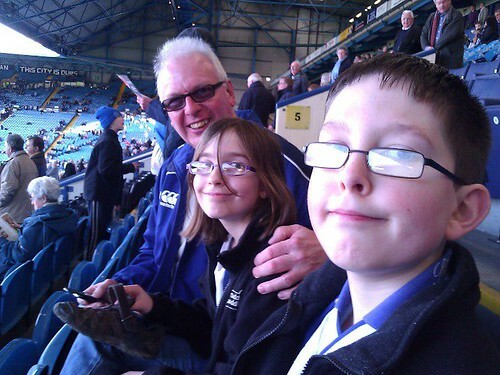 James has taken them round his old school which is being demolished and so was having an open day and they also were treated to a football match at Sheffield Wednesday from their Grandad. 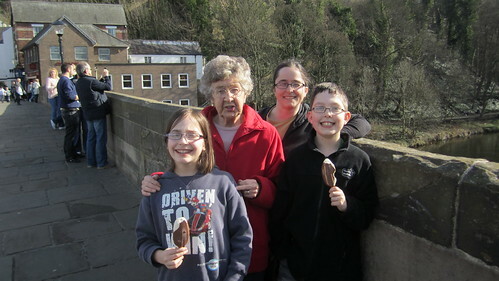 Last week we went to visit my gran and took her out to Durham which is a city I’ve never been to despite my family hailing from round there. 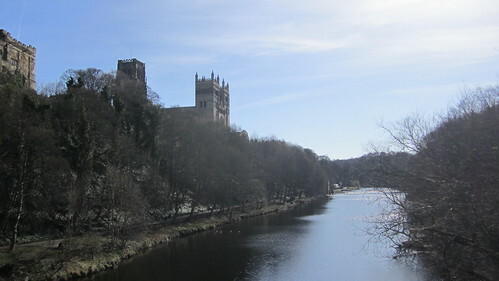 We had good weather which helped, but a lovely day out was had. The kids enjoyed looking at a timeline set in stone in the square and seeing how Durham changed through the ages. I’m going to see if I can find some photos to add in to this post and then hopefully I’ll update what we got up to this weekend as it’s been a bit mad and busy!